The concept of Cosmic Healing Centre was laid some seven to eight decades ago (1940) by late Dr. Shantibhai. 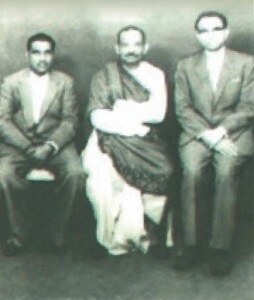 M. Patel and his mentor late Dr. Benoytosh Bhattacharya (The Director of Oriental Institute). Dr. B Bhattacharya was one of the prominent resource person (Rajaya Ratna, Janan Jyoti) of Sir Maharaja Sayjirao Gaekwad, the King of erstwhile Baroda State, Gujarat, India. The holistic approach of cosmic healing was initiated with the scientific integration of therapies dealing with and based on dynamic energies affecting a person’s mental, physical and spiritual being. Dr. B Bhattacharya and Dr. Shantibhai had a wide experience of Homeopathic System of Medicine. Moreover, since their early childhood being born in a family following Vedic traditions and further following higher education in the same path, they had a firm conviction, elaborate exposure and deep insight into the ancient knowledge of the Vedas and various esoteric disciplines dealing with dynamic healing energies. With this very foundation and inherent capability they successfully integrated Homeopathy with Ayurveda (Tridosh and Homeopathy), Gem Therapy, Radiesthesia, Dowsing, Teletherapy and so on….. The institute was well known across the globe and is accredited with a list of over thousands of successfully treated patients with varied ailments. Following the pioneering efforts of Holistic and Homeopathic practice of late Dr Shantibhai in towns Nadiad and Petlad, Gujarat, India, the third generation holistic healer and second generation Homeopath Dr Mahavrat S. Patel established Cosmic Homeo Healing Centre in Baroda city, State Gujarat, India in a very well equipped, State of The Art set up with a serene, cohesive and conducive ambience. He has been practicing Homeopathy integrated with holistic healing for the last four decades. Since his early age Dr. Mahavrat by a meditative mind, hard efforts, formal training, and learning has been exploring various conventional, esoteric, martial art healing disciplines. He is also an ardent follower and a regular mediator practicing Vipassana meditation since early childhood. As a result of the said efforts and learning, he has been able to integrate more than ten holistic disciplines at the Centre as mentioned in the brochure. One of his main achievements in four decades of Homeopathic practice is being able to integrate homeopathic materia medical and philosophy with clinical medicine in treating critically ill patients by being in a team of medical experts, coordinate and jointly working in the interest of patients’ recovery. 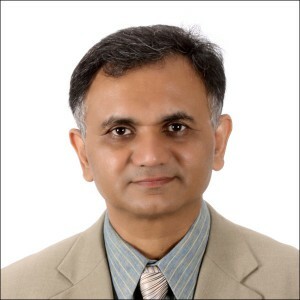 Dr. Patel has been serving the academic cause by conducting seminars, workshops for students and practitioners and has affiliated with and served the homeopathic institutions and hospitals in India and abroad. 1. Ex- Honorary lecturer at Anand Homeopathic Medical College and Research Institute, (Anand, Gujarat, India). 2. Ex-Honorary lecturer and visiting Homeopath at Baroda Homeopathic Medical College. 3. Ex-Lecturer of homeopathic medicine at AUCM (American University of Complementary Medicine), Los Angeles, the USA from 2007 to 2009. 4. Each year Dr. Patel trains 4 to 5 homeopaths at his Centre to provide them with better clinical exposure in the Homeopathic System of Medicine. M.D (HOM) from Ahmadabad Homeopathic Medical College Gujarat, India by submitting a dissertation on chronic obstructive lung disease and efficacy of Homeopathic Medicines especially the nosodes in its management. Has been appointed as a consultant Homeopath on a panel of Heavy Water Plant, Baroda (Government of India). All in all Dr. Patel under his able guidance has successfully carried forward the legacy of art, wisdom, and experience of Cosmic Homeo Healing Centre.